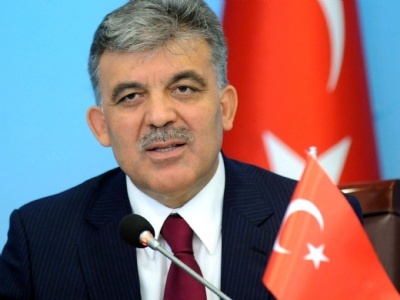 “Abdullah Gül has no right to speak”, I hear all the time as a reaction to President Gül resisting the ideology of Dutch politician Geert Wilders, which discriminates against people and marginalises them. That’s because Gül has a problem handling minorities in his own country, the argument goes. Kurds and Christians in general and Armenians in particular are mentioned as examples. True. But let us not forget an important difference: Gül’s country is actually making progress when it comes to handling minorities, while the Netherlands are, under Wilders’ leadership, going backwards. The problem that Turkey has with its minorities is solidly anchored in the pillars of the republic. One of the most important of those is: we are all Turks. So Kurds were named ‘mountain Turks’, Armenians and Greeks could officially exist as minorities but were in fact forced to assimilate or leave the country, Roma became society’s outcasts. Since the AKP, the party President Gül hails from – he is non-party in his role as President – has been in power, the pillars of the republic are being questioned. As well, the truth that everybody in the country is a Turk is not as sacred as before. Mountain Turks have become Kurds, Armenians dare to be more visible than ever before, century-old churches are being renovated with state money and sometimes services are held which attract believers from all over the world. It’s all not enough, and the AKP cannot keep leaning on the successes that have been realised over the last decade. It’s about time for new steps in the democratisation process. But silencing President Gül by pointing out the position of minorities in Turkey when he criticizes Wilders denies the development Turkey is going through. And it denies the direction the Netherlands is taking. Under Wilders’ leadership whole communities are being placed outside society, because they are supposedly not Dutch enough, or are not respecting our ‘values’, or have a religion that threatens us. Why were the Kurds forced to assimilate? Because they were supposedly threatening the unity of the country, and because they were considered too primitive for the new, modern Turkey. Why were the Christians suppressed for decades? Because they were seen as threat to Turkey’s sovereignty. That is just how in the Netherlands these days foreigners and Muslims are seen. They should become pure Dutchmen. The multicultural society has been abandoned, and government policies are more and more adjusted to the idea that we all have to be Dutch. In short, the Netherlands are going in the direction where Turkey is coming from. A scary direction, painfully illustrated by Turkey’s history. I explained my ideas about this topic before but again I want to make a bold remark what you are telling here is just wrong. Multicultural Netherlands or Multicultural Europe is just an illusion and a mask for modern slavery. European nations never had the tolerance and effort in large scale to understand other cultures/religions well enough. Now we are at a point that Merkel, Sarkozy announced that it has failed. Wilders is another story. If I was wrong we could see more people (coming from different origins) in top positions. Situation in Europe is not comparable to US and Canada which are really multicultural. Of course general reaction in the society is immigrants (especially the non-western ones) are not smart enough to do it so they better do our low level jobs. Total fail. Is this your multiculturalism ? Make people kind of slaves then promote yourself as a multicultural nation. Then bash them because they are not integrating well (that’s another word I adore. Do people integrate or adopt?). Now the problem is visible since it has passed a kind of certain threshold in terms of the reaction of the society (or in Wilders words : Europe is too crowded). Also political climate allows that since right wing parties are dominating the Europe in general. So end of the illusion. On the other hand Turkish society is a descendant of a truly multicultural country/empire called Ottomans. 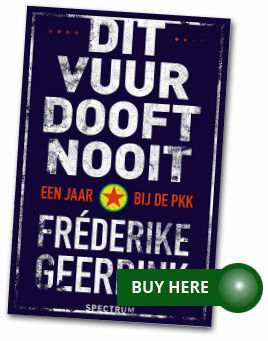 So sorry but you are not in a position for dictating “The Netherlands go where Turkey is coming from”. Turkey has never been where Netherlands was and vice versa. Turkey is not doing a “progress” (typical western political definitions which is nonsense most of the times). Turkey is just facing its history and remembering its past. Finally AKP is doing all that stuff you described in your writing and I support it (even expecting the better) but in general AKP pursuing some other things which will transform Turkish society into a more conservative and less intellectual society (which as it is not ok already)… So I am not that optimistic about the future. Fundamentally having the “Republic” has nothing to do with all those problems and all the problems can be solved with some sensible adjustments.